The Franchi Instinct L is a beautiful over/under shotgun with A-grade satin walnut cut into a Prince of Wales style stock and cut checkering on both the for-end and pistol grip. 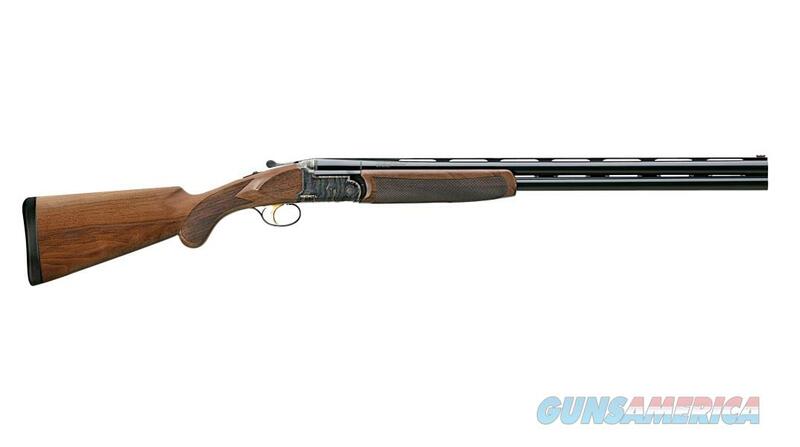 It features a case hardened steel receiver that adds to the overall appearance of the shotgun as well as its strength. Now offered in the light recoiling and fun to shoot 28 gauge this Instinct L will turn heads as it knocks down its targets. The name instinct L is engraved in gold on the right side. Th distinctive receiver includes a tang-mountated automatic safety that also acts as a barrel selector. An Attractive gold plated trigger completes the Instinct L’s stylish look. The prince of Wales style stock is cut from a grade satin walnut and features cut checkering on the slim frond and pistol grip.